£995 for flights, Full Board, transfers,diving and all onboard photo tuition. So give us a ring on 0800 0728221 A fabulous bargain for a fun packed educational week on this lovely boat.Read on. 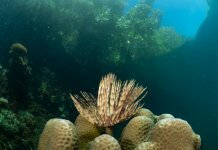 Underwater photography made easy? Yes, taking images underwater can be made simple, even if you have never used a camera before! 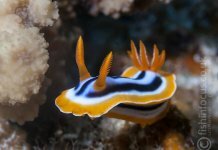 Book yourself on our North Red Sea Basic photography itinerary and let Scuba Travel’s very own photo pro Duxy bring introduce you to the magical world of underwater photography, all from the comfort of our award winning Red Sea liveaboard fleet. 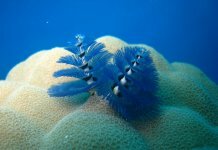 Our complete photography service means that from your first enquiry to landing back at home you can now start enjoying underwater photography and stop being frustrated by lacklustre images. 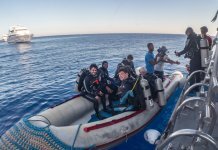 Endless subject matter in the northern Red Sea combines with Duxy’s relaxed yet informal teaching style to ensure you start taking underwater photographs with results you will want to share with everyone you know! 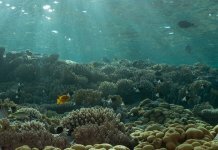 The Northern Red Sea Basic Photography will get you up and running with your underwater camera. You will run through camera care and setting up the housing so you can dive with confidence. Banish the blues with hints and tips on using available light and getting to grips with some of the basic settings including automatic modes. You will also cover basic photo editing using Adobe Lightroom. As the week progresses Duxy will start to introduce those extra bits of kit that can really make your photos sing. How about trying out a wide angle lens? Or maybe even a strobe? With equipment on board for you to try out before you buy, this can be the ideal way to improve your photography with kit that works for you. In one week you can become a confident and proficient underwater snapper! The Northern Red Sea was made for underwater photographers. Few locations can beat the year round warm water and superb visibility. 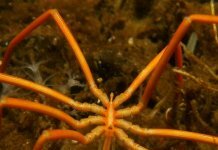 The diving is as varied as you could want. Once the check dive is sorted, there are world class reefs and wrecks galore to discover. Few reefs are more lavish than Jackson in Tiran or the nerve thrilling drop off at Shark and Yolanda, swarming with schools of snapper, barracuda and bat fish. The barge at Gubal is not so much a wreck dive as a treasure trove of scorpion fish, cardinal fish (look for the eggs!) and giant morays. Spend a happy hour in the hard coral gardens at Shag Rock which is home to a friendly turtle. And let’s not overlook the wrecks. Photographing the likes of the Thistlegorm, Giannis D, Carnatic or Kingston are a challenging but deeply rewarding. And at every step of the way, Duxy will be on hand to point out great features to photograph, for 1:1 tuition and daily group presentations. The exact order of itinerary is left intentionally flexible to give you the maximum photographic opportunities, depending on sightings, weather and dive conditions. No two trips are ever quite the same, responding to the best photo opps each time! This is a typical example of the Introduction to Photography itinerary. The schedule is subject to change according to prevailing weather conditions and is only given as a example of what you would usually encounter during your holiday. Mistral departs from El Mina in Sharm el Sheikh. 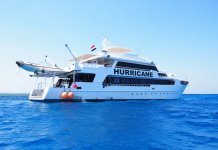 All of our North Red Sea Basic Photography trips run for 7 nights with 7 nights spent on board your liveaboard. There are normally 4 dives a day (3 day dives + 1 night dive) apart from on your first and last day. There are around 21 dives on an average week but this can vary depending on local weather conditions. Once you have been picked up from the airport you will be taken to the port to board your liveaboard. If you are making your own way to the harbour we ask that you not board before 18:00. There will be a full welcome briefing on arrival and you can set your kit up. If you have prepaid any rental equipment this will be given to you on arrival. There is then your first dinner and you can settle in for the evening. The boat will not leave harbour on this first night. After the boat permissions are sorted, the boat will depart the next morning and the check dive will be made. A normal itinerary will dive at the following areas but the exact dive sites and order will vary week by week depending on what people enjoy, where the best sightings have been and reflect diver experience levels. One of the big advantages of joining a dedicated photo itinerary is the flexibility! Our on board pro Duxy will usually opt to focus on an area for multiple dives. Depending on how the shots are going and how much divers are enjoying a site, you will have the chance to repeat dive sites – shoot the same subject in different light or go back in and try again those shots that were not quite picture perfect. You might not cover as many dive sites in a week but the chance to repeat sites means you can really hone shots you are proud of. As individual trips can vary on their focus, please speak to your travel consultant for more specific info about the proposed highlights. Ras Mohammed has some excellent sites for photographers. Yolanda has drama on the drop off with large schools of snapper, barracuda and bat fish (June – August) but dive round the back and you can find morays, napoleons and camouflage fish in the shallows. Anemone City looks like a carpet of splendid anemones with one of the largest table corals you will ever see. And Alternatives is another popular site with photographers, who love the contrast of the pinnacles, sandy bottom and gentle drift. You never quite know what marine life await here! Perhaps the most photographed site in Tiran is Jackson. 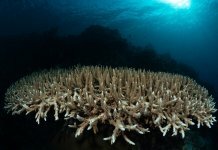 There is a red anemone, lovely large sea fans and then of course the magnificent coral garden. Puffers, macro and turtles are all commonly seen here but it is one of the most spectacular sites. We also love Gordon, ideally for the afternoon dive, where you can get arty with the tar barrels and large school of banner fish on the drop off. Gubal is out of the reach of daily dive boats and a wonderful spot for photography. 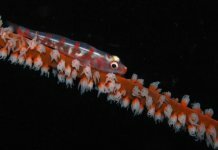 The Barge wreck might be broken up and not much of a wreck dive but it is smothered in massive nudibranchs, a school of cardinal fish and home to the most enormous morays. Watch out for vast scorpion fish and stone fish. 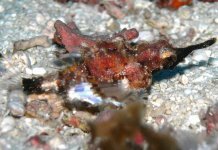 Drift down the outside wall at Bluff Point and you can see dolphins as well as some really unusual macro spots… a ghost pipefish has even been seen here so get looking closely! Wreck photography is an art in its own right! With the particular traits of wide angle lenses and lighting challenges, you can practise your wreck photography on some of the most iconic wrecks such as the Thistlegorm or Giannis D. The Kingston and Carnatic are especially photogenic. Here we’re shooting a diver on the bow of the Thistlegorm to show you the scale of this magnificent old girl. Some trips may not cross over to Abu Nuhas so if you are really interested in wreck photography do consider joining our dedicated Get Wrecked Photo itinerary. Are you part of a group that loves photography? Why not speak to Duxy about taking a full charter. We can custom build your photo itinerary. Just to give you an idea of the sort of shots you can achieve this slideshow was taken only with compact cameras from the last 8 years. And I can show you how straightforward it is. Click here to see what a typical photo workshop involves. So to recap that’s £995 for a week long liveaboard on MV Mistral from the 22nd to the 29th of June 2013 escorted by Duxy 0800 0728221. Flights, transfers, full board and all your tuition included. If you would like to add an extension, combine this with another product or tweak the itinerary give us a call so we can discuss your dream diving holiday. Next articleHow to make a timelapse video from your GoPro or other camera.